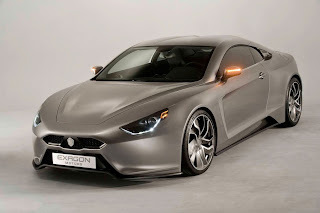 Siemens PLM Software, a business unit of the Siemens Industry Automation Division and a leading global provider of product lifecycle management (PLM) software and services, today announced its NX software and Teamcenter software were used to design and develop Exagon Engineering’s Furtive-eGT all-electric automobile. The Furtive-eGT, France’s first all-electric luxury car, was created by Luc Marchetti, founder and chairman of Exagon Engineering. It combines high performance with respect for the environment while meeting consumer expectations for style and comfort. Exagon Engineering uses the NX integrated computer-aided design, manufacturing and engineering analysis (CAD/CAM/CAE) software for all of the 3D digital product development work associated with the Furtive-eGT. All product data – including the detailed NX models – is then securely managed, disseminated and controlled using Teamcenter, the world’s most widely used digital lifecycle management solution. "We are delighted to have worked with Exagon Engineering on the design of the Furtive-eGT and to have offered them our expertise in PLM, as well as our industry-leading software,” said Christophe Iffenecker, Vice President & Managing Director, Siemens PLM Software, France. Congratulations to Luc Marchetti by his luxury car launch, as well as for the important conquest of Trophée Andros Eletrique. I hope that Furtive eGT be equiped with Siemens in wheel motors and inaugure a really new era for electric car engineering in France. The input path for electric car even begins from luxury cars, but as you are a car lover, I think that you are mindful about future novelties in the field of batteries and make of your car a "must", enjoyed by all and as a good beggining for a succesful electric car family.